Action Lab Entertainment announced today they have partnered with ZAG to develop comic books and graphic novels for North America based on the pan-regional hit, 3D CGI animated TV series, Miraculous™: Tales of Ladybug & Cat Noir. The animated series is currently airing in the USA on Nickelodeon and on Disney Channel throughout UK and EMEA. First introduction of the ALE ZAG Heroez – Miraculous comic book series is planned forJuly 21st in conjunction with San Diego Comic Con. It is a good thing that she gets a little help from her superhero partner, Cat Noir… but she insists she doesn't need him. If only she knew Cat Noir's true identity – her crush, Adrien! 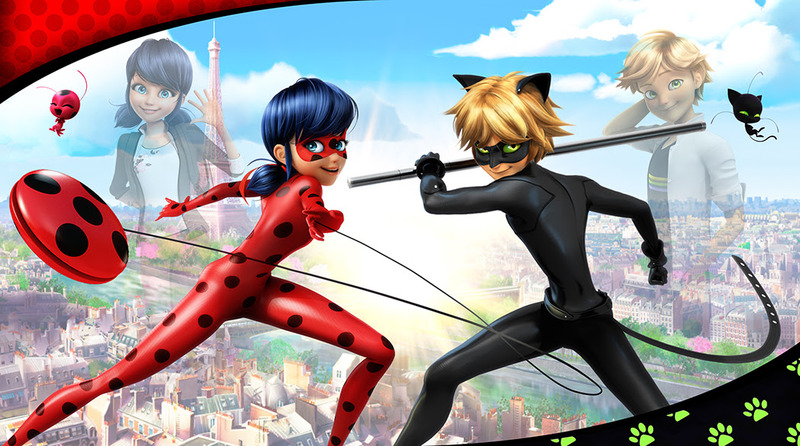 Will Ladybug and Cat Noir be able to balance their double lives and keep Paris safe? Will they ever find out each other's true identity? Until then – there's a whole city of baddies to defeat… SPOTS ON, CLAWS OUT!